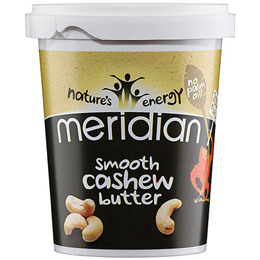 Meridian Smooth Cashew Butter are roasted, then ground to produce a perfect smooth texture. All Meridian cashews butters contain 100% cashews. Cashews are technically not a nut but the seed of the cashew apple, a tree that grows in tropical climates for example South America, India and Africa. Below are reviews of Meridian Smooth Cashew Butter - 454g by bodykind customers. If you have tried this product we'd love to hear what you think so please leave a review. 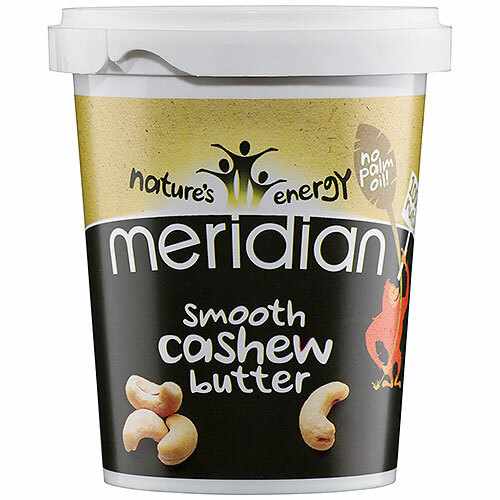 Meridian Smooth Cashew Butter are roasted, then ground to produce a perfect smooth texture. All Meridian cashews butters contain 100% cashews.